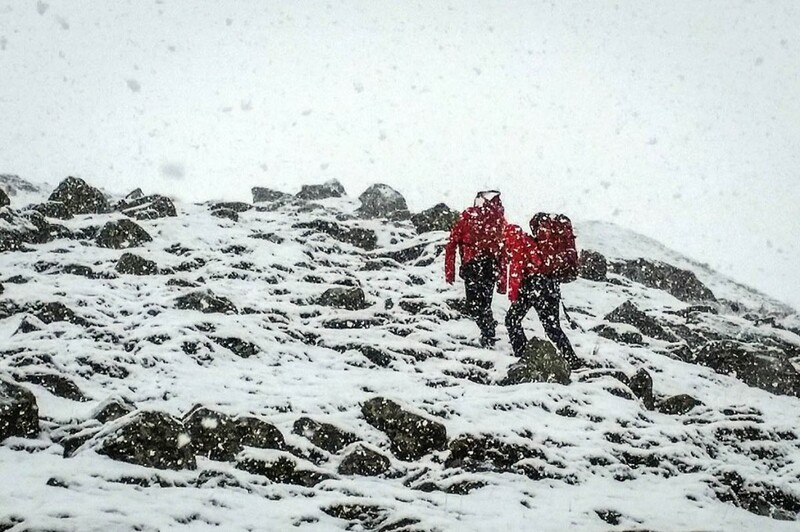 Two walkers were rescued after getting into difficulties in a blizzard on a Lake District fell. Three rescue teams were involved in the operation to bring to safety a 74-year-old woman who got lost with her 51-year-old daughter on Greenup Edge on Thursday. Keswick Mountain Rescue Team was alerted about 12.25pm when the pair called for help. A Keswick MRT spokesperson said: “Conditions on the fell were more akin to January than April, and just shows how one should not take the better weather for granted. “The team sent groups from Rosthwaite and Wythburn, at the same time requesting assistance from Cockermouth and Langdale teams to boost numbers, as well as Lake District Mountain Rescue Search Dogs. The rescue lasted almost five hours and involved 13 Keswick volunteers and six from Langdale Ambleside MRT. Lucky escape. Been lost up there in the fog and rain myself, that was scary enough.